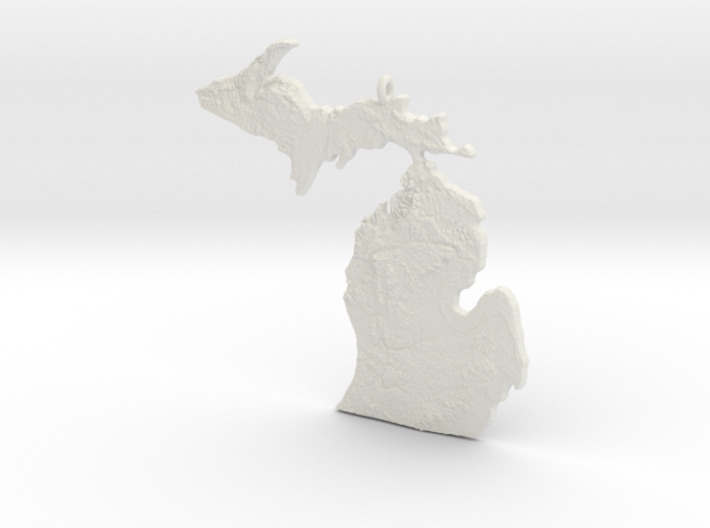 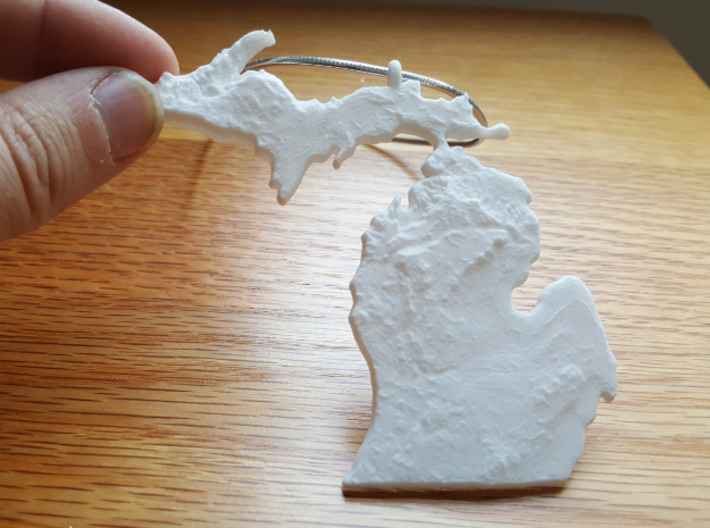 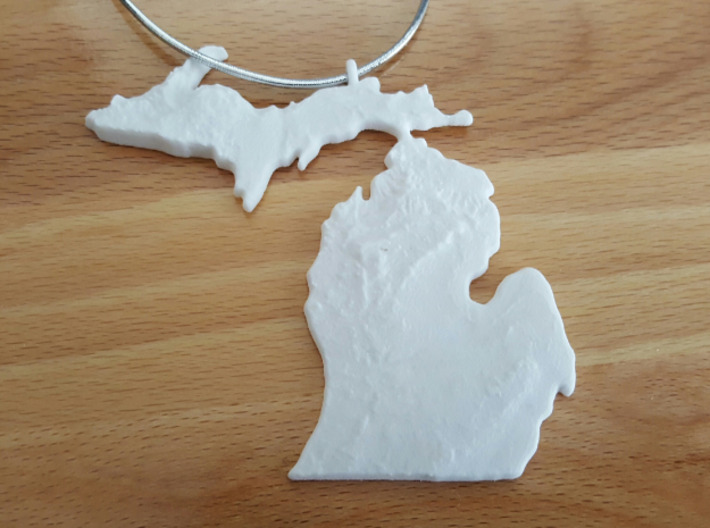 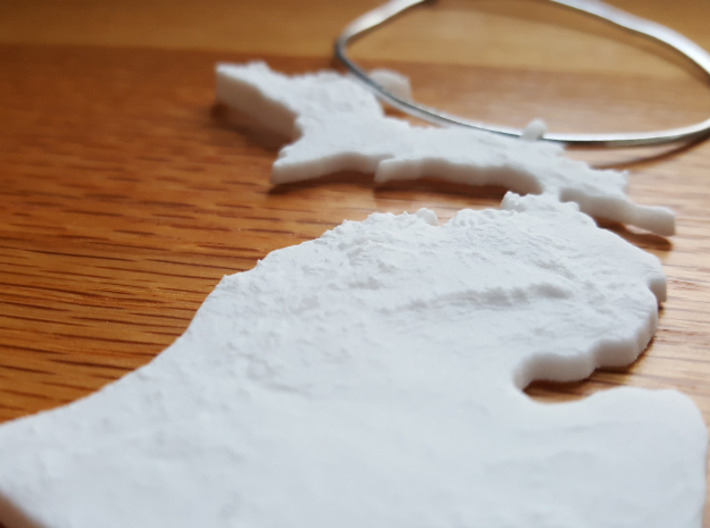 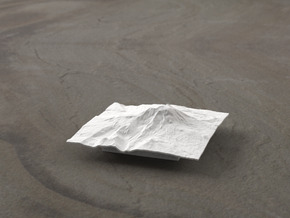 This piece is a raised-relief terrain map of Michigan at 1:7.5M scale, with 50:1 vertical exaggeration. 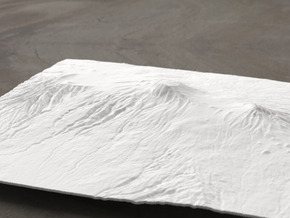 The source of the elevation data is the U.S. Geological Survey. 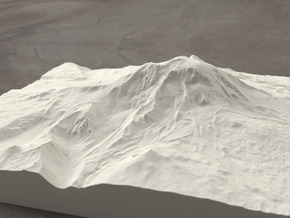 The USGS home page is http://www.usgs.gov/.